Uniquely formulated to clean, shine and protect Strataglass and Crystal Clear 20/20 clear vinyl and its scratch-resistant protective coating. Special UV inhibitors significantly extend the useful life of Strataglass by minimizing the deteriorating effects of sunlight. This helps defeat age-induced brittleness and promotes continued flexibility. Safe to use daily and is recommended to be used often to properly maintain the clarity of Strataglass. 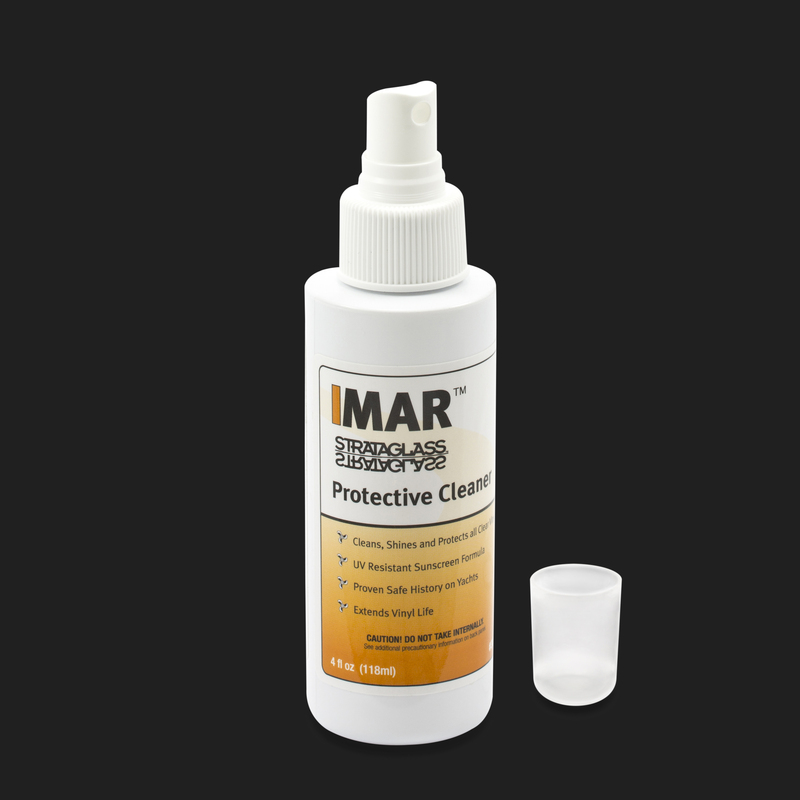 Helps rejuvenate the protective properties of IMAR Strataglass Protective Polish #302, which should be used on a less frequent but regular schedule. Strataglass, Inc., manufacturers of Strataglass and Crystal Clear 20/20, endorse IMAR. 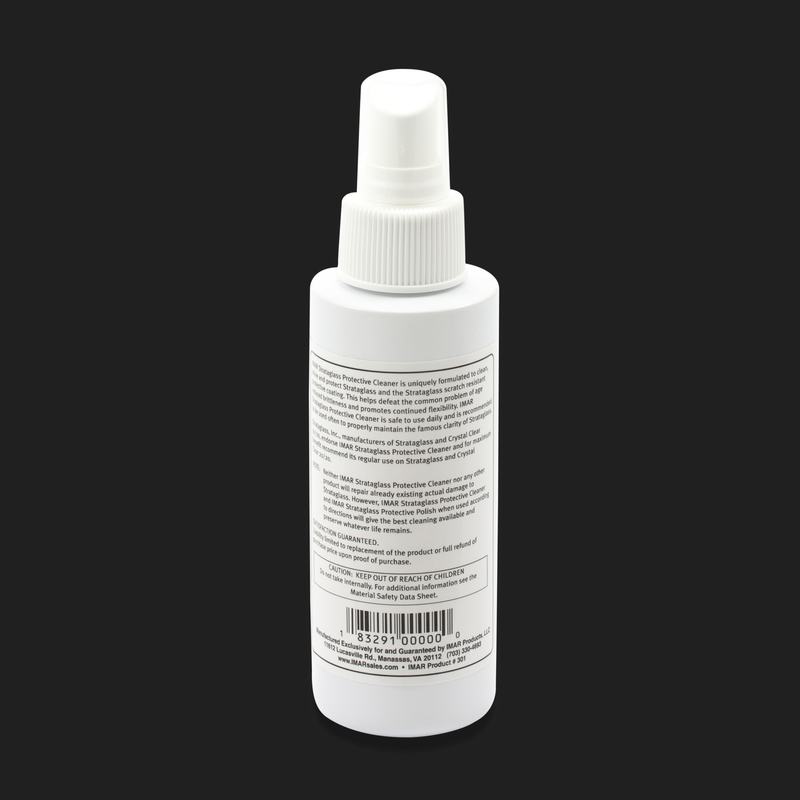 Strataglass Protective Cleaner and IMAR Strataglass Protective Polish for maximum benefit and recommend its regular use on Strataglass and Crystal Clear 20/20. Use of any cleaner or polish product other than IMAR Strataglass Protective Cleaner and Polish voids the factory warranty. Trademark: IMAR™ is trademark of IMAR Products, LLC. Strataglass™ is a trademark of Strataglass, Inc.